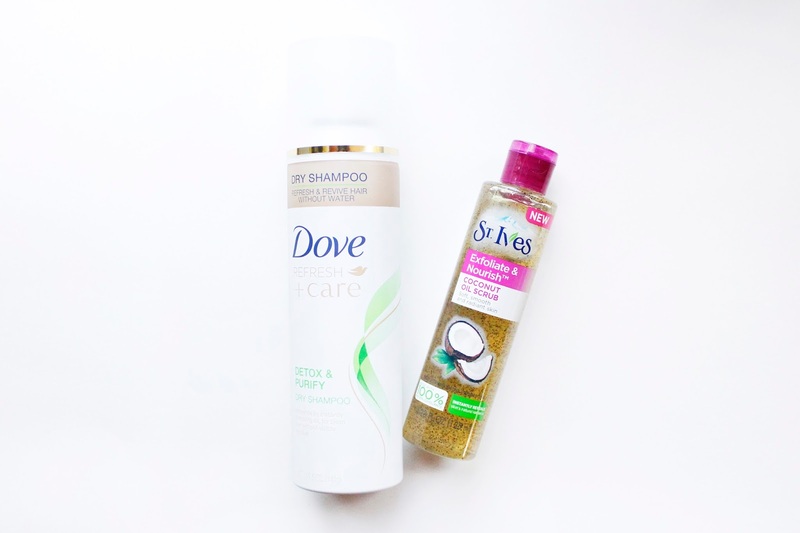 Drugstore Beauty Favorites: Keeping Clean! We all have misconceptions between drugstore beauty products and high-end beauty products. Yes, I do gear toward Sephora more at times, but it doesn't mean I've given up on my drugstore beauty favorites - it'd be too hard if I wanted to because they're the most affordable, easily accessible, and I'd say they've been improving by adding more familiar brands (like Soap & Glory) and some of the stores are upping their game with a cleaner look. Drugstore beauty has such a nostalgic place in my heart, and I love seeing how some of my favorite brands have grown. No doubt I'll be talking more about drugstore beauty products here, so stay tuned. Here are my current drugstore favorites that are keeping me clean! I've been using Dove shampoo for as long as I remember - do you recall the one in the yellow bottle? I don't remember the name of it - probably discontinued, but it was my go-to back then (just because my best friend used it). Truth be told, I struggle with trying not to wash my hair everyday - it even surprised me to hear that you weren't supposed to! Being a victim of greasy hair within 24 hours of washing and having light dandruff since middle school, not washing my hair everyday was a difficult task. It was only last year when I started to give dry shampoo a shot - and let me tell you, it has changed my life. Thanks to Dove's Detox and Purify Shampoo, I can go up to day three without feeling uncomfortable up there. And for washing, I like to use their Invigorating Mint Anti-Dandruff Shampoo. 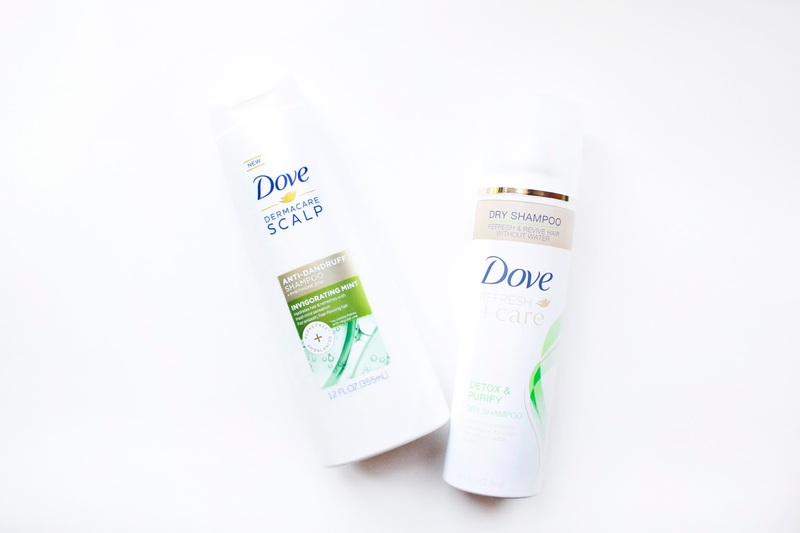 Years and years later, I still prefer Dove products over others in the drugstore, and these two are my current hair care faves! If you've never heard of St Ives' Apricot Scrub, then you've been missing out on some good ol' stuff. They recently launched their Oil Scrub collection, and I did not hesitate on trying this out. Their Apricot Scrub has won my teenage heart years and years ago, and their Coconut Oil Scrub might be next. 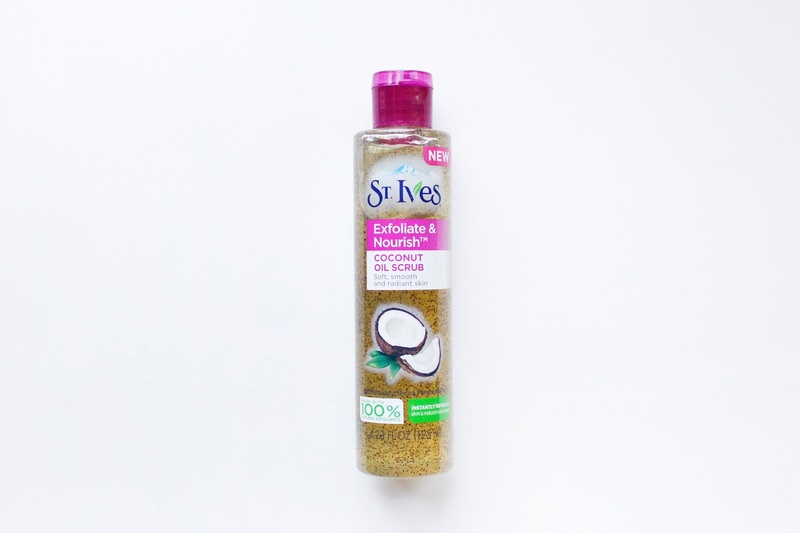 You start off with using this product dry before adding warm water, and I love the way it creates a white milky texture once water comes into play. I love how fresh and smooth my face feels after using this product. I prefer the Coconut Oil Scrub because there is moderate exfoliation, which isn't too harsh on my sensitive skin. They also have an Apricot Oil Scrub for those who prefer a deeper exfoliation! I can go on and on about my favorite body cleansers - the options are endless! I'm usually not that picky when it comes to body cleansers (as I am with things like shampoo and conditioner) as long as they smell good. And let me tell you, Le Petit Marseillais' White Peach & Nectarine Extra Gentle Shower Gel smells amazing, like PEACH RINGS. Though the fragrance is pretty strong, I assure you that this product is safe for sensitive skin. I'd add in their Orange Blossom Extra Gentle Hand Soap in your shopping cart as well! I love that these products are super affordable and have me (and my nose) smiling once the product hits my skin. Totally recommend! What are your go-to drugstore beauty faves that help you keep clean?